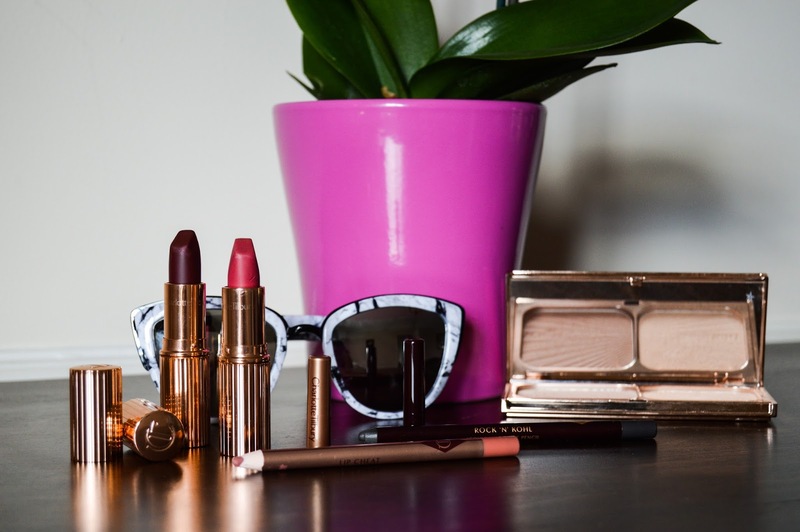 Beauty bloggers have quickly adopted Charlotte Tilbury products as their ‘go-to’ Holy Grail products, and with good reason. Charlotte Tilbury combined her makeup artist expertise with stunning packaging and the rest was history. As high-end items, I have slowly built up a selection of products, they come highly recommended so I didn’t mind handing over the cash. I’ve been using all of the items for a few months, so it’s a perfect time to review them and share my thoughts. 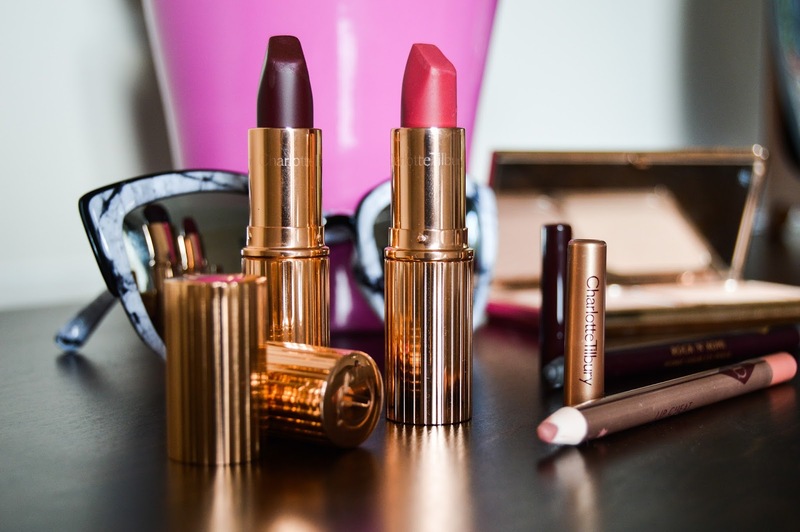 I’ve actually won two of the items from giveaways, Glastonberry lipstick was my first ever Charlotte Tilbury product. I picked a shade that stood out and wasn’t like anything else in my collection. Admittedly as it is so bold, I hardly wear it. Having a boyfriend means dark lipsticks smudge everywhere and ends up in their beard. I save it for nights out with the girls, as it’s a long lasting, matte shade that stays around all night through glasses of wine. I also won another lipstick, lucky me, and picked the shade Amazing Grace. I went for those English rose, blush shade as I thought it would be very wearable. Again, it’s in the Matte Revolution line so it has a matte finish but as a comfortable wear. I think the shade goes nicely with the Lip Cheat in Pillow Talk. It’s a well-loved shade across the beauty community, it’s your lips but better, making them looked plumped and full in seconds. Another pencil from Charlotte Tilbury came after I saw the lady herself use it in a video makeup tutorial. She applied a swipe of the Veruschka Mink grey pencil liner across the lash line and smudged it out for a rock and roll, lived in look. The Rock ‘n’ Kohl liners are super soft, they have some play time so you can blend but once they are dry they do not budge. I think I’ll pick up the black and purple shades soon. Last but not least is the Filmstar Bronze and Glow, a cult product used by many. I’m all about sculpting, I like to chisel out a model-like bone structure. I’d previously been using the NYX blush in Taupe or the Sleek Contour Palette in Light, both of which have an ashy undertone. The Charlotte Tilbury offering is a little more warm but lighter in colour, I wasn’t sure if I would get on with the product at first. The NYX Taupe shade is dark and defined and over applying can leave grey toned marks on your face, whereas the Bronze and Glow is subtle. I use a fluffy contour brush to dust the powder over my temples, under my cheekbones and along the jawline. It’s very natural and effortless, it’s a lot more manageable than my usual contour shades. It's a super fine powder, when you swirl your brush powder clouds up, which wastes a bit of the product. The highlight is very golden which doesn’t suit all so I would advise swatching in store before buying. You could use it as an eyeshadow if it didn’t work as a highlight. Charlotte Tilbury has my heart. What’s your favourite CT product? You should treat yourself. Try the lipsticks first, I love them! I've yet to try Charlotte Tilbury products! :( It's not sold where I live unfortunately. I really wish I owned something Charlotte Tilbury all I see is good reviews. You should get a sample of some of the products and see if you like them. Thanks, I've built it up slowly. Yet to try those but I do have my eye on them! Great post! i love the CT Magic foundation! really want to try more from the brand! P.S I love you Quay Australia sunglasses in the background!! Thanks Holly. I wasn't a massive fan of the foundation, I had a small sample.